This Bickford location has had continuous staff turnover among directors, RNs, Activities, front desk, LPNs, CNAs, cooks. Handful of CNA staff and 1 LPN have been there 1 year+; this doesn't make for any of the rest of staff knowing residents' needs. The current director is way over her head, isnt able to see what needs to be fixed and how to make things go smoothly. Another RN (a very, very good one) just left. Families upset. They call everyone "family". I wouldn't treat my family like this and looking to move my family member. Middle and upper management need to step in. Those who don't have relatives here shouldn't be posting stars. This community was previously owned by Trinity Lifestyles Management and was purchased by Bickford a couple of years ago. The building is older but is very clean and well decorated. I was unable to see a meal or activity but there was public menu for the meals being served that day and an activity calendar posted in a public location that had a lot of options. The staff are all new and unique to Bickford. Bickford is a newer senior living managing entity in Metro Atlanta and is a much smaller company which can be a pro and a con when it comes to management and resources for resident care and staffing. The best way to get to know a community is by scheduling a tour. See the facilities, meet the staff and residents, and get a feel first hand what it's like to live at Alto Senior Living of Buckhead Assisted Living. 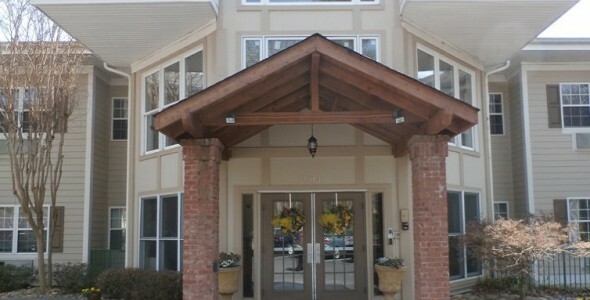 Centrally located off Roswell Road just down the street from Fountain Oaks Shopping Center and the offices of the Piedmont Physicians Group, Bickford of Buckhead is a welcoming senior community that offers supported retirement living. Our goal is to provide seniors with the services and support they need to maintain their individuality and independence for as long as possible. Bickford of Buckhead is proud to be a branch on the Bickford Senior Living family tree. At Bickford, our operating philosophy is simply to enrich the happiness in the lives of our residents and create a workplace where our employees are recognized for providing exemplary care. With communities in nine states throughout the Midwest, we pride ourselves on being trusted by families to care for their loved ones. While our residents enjoy the privacy of their own apartment space, we encourage them to see our entire community as an extension of their home. Seniors may gather with friends over coffee in our bistro, walk their dog in our secure, outdoor courtyard, get their hair done in our on-site salon or entertain family and friends in our private dining room. As part of our mission of enriching happiness, we offer a variety of daily activities designed to engage the body, mind and soul. From attending a yoga class to making new friends during happy hour to cutting loose at one of our popular dance parties, there is never a dull moment at Bickford of Buckhead. Our certified caregivers are always available, day and night, to assist residents with activities of daily living such as dressing, grooming, bathing and handling medications. A full-time Registered Nurse is also on staff to create personalized care plans for each resident and monitor their health and well-being. We are also pleased to partner with Marketplace Ministries to provide on-site chaplain services. Our full-time, non-denominational chaplain leads weekly church services and Bible study groups, and is available 24 hours a day to counsel residents when needed. At Bickford of Buckhead, we offer seniors more than just a place to live, we offer them a place they are proud to call home.